Patents protect our intellectual ideas, and make sure that our proprietary business inventions aren’t stolen and used by just anyone. But sometimes, patents can be used the wrong way, as they often are by what are known as patent trolls. 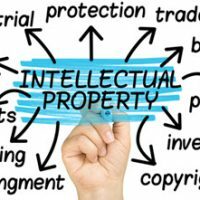 A recent allegation of infringement has arisen, bringing to light how important it is for businesses to be mindful of both making sure they aren’t violating patents, but also of knowing when someone is making a baseless infringement claim. Clicker Heroes is a video game made by a small Los Angeles company. The game uses “Rubies,” which are essentially electronic tokens in the game, no different than the kind of electronic tokens or currency that are used in so many games nowadays. A company called GTX claims that it owns the patent for electronic tokens, which it claims covers any kind of digital coins or currency. It has sent a letter to Clicker Heroes, claiming infringement. GTX’s claims sound hard to believe, considering how widely used digital, in-game currency is used, but GTX does have a patent number for a patent granted in 2007. How strong is the patent? Like most patents, the answer is “as strong as others perceive it to be unless a court determines otherwise.” It appears that GTX has made its patent claims against big companies like Apple, eBay and Amazon in the past. Those companies have settled their suits for unknown terms. That would seem to mean that the patent is pretty strong, but no company has yet challenged GTX’s infringement claims in court. This is often the case where a small company owns (or claims to own) a patent that a big company uses. It is often cheaper and easier for the big company to pay the little one to make the problem go away, and continue to use the alleged patent. How Strong is the Claim? There is established patent law that says that you cannot patent an abstract concept. For example, you could not patent taking physical tokens to play video games, or taking tickets for prizes. The Supreme Court ruled on this issue in 2014. A software developer sought a patent on software that encouraged users to negotiate a settlement by using the computer as an intermediary. The software was supposed to contain code that could be used by companies to implement programs that could be a “middleman” in business negotiations. But using intermediaries is a time tested tradition, and a general concept of human interaction, too vague and abstract to be patented. Using an intermediary in negotiations was, as the Court called it, a “building block of human ingenuity.” Simply putting computer code onto an unpatentable concept does not transform it into something that has patent protection. The company that received the cease and desist letter from GTX has yet to respond, but it does appear that they are willing to fight the infringement claims. The lesson here is that sometimes knowing when to fight an allegation against your business is as important as knowing when to settle. Get good legal advice if your business is faced with legal claims or legal liability. Contact Tampa business and commercial law attorney David Toback to review your rights.